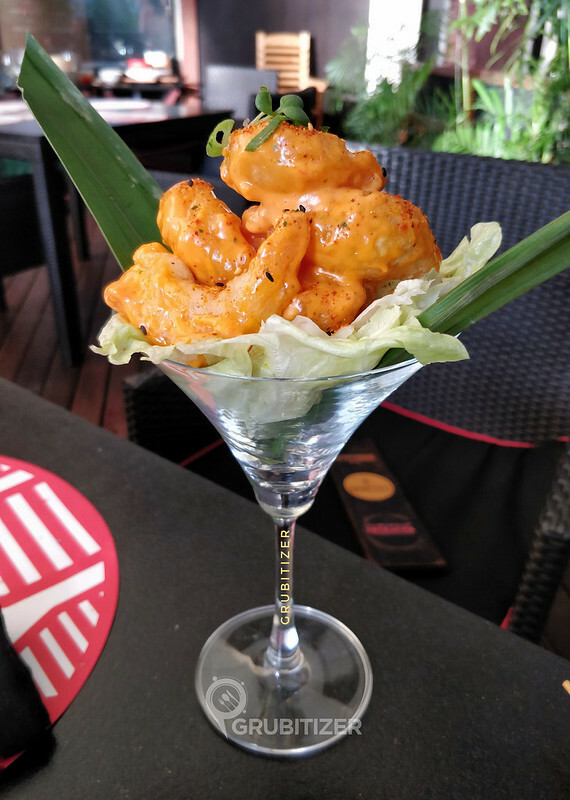 A lot of you must have heard of Sriracha, the popular spicy sauce that’s typically served in Vietnamese and Thai food, but in this post, I am going to talk about Sriracha that’s the newest Pan-Asian restaurant housed in the uber premium property of UB City. 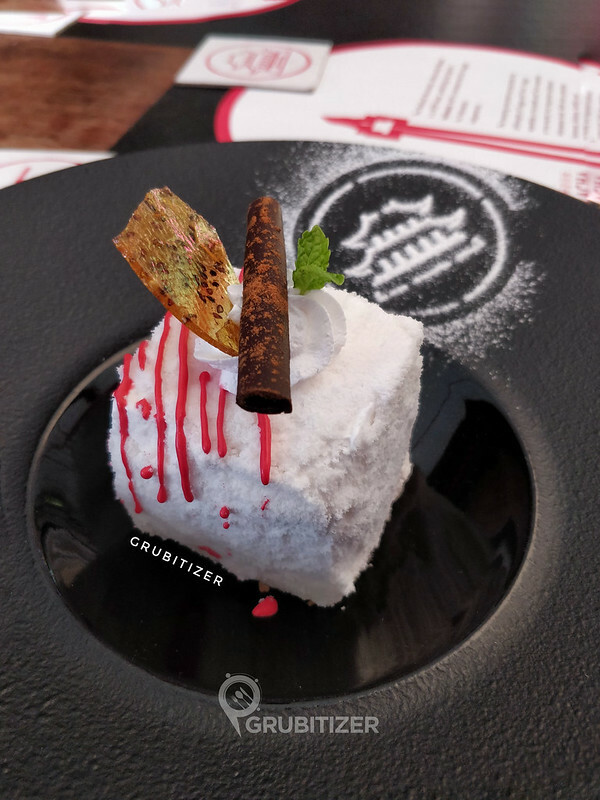 I was here a month back for a nice round of Saturday lunch where we got to experience the new menu curated by Chef Vikas Seth who also takes lead at Sanchez, my all-time favourite Mexican restaurant in Namma Bengaluru. 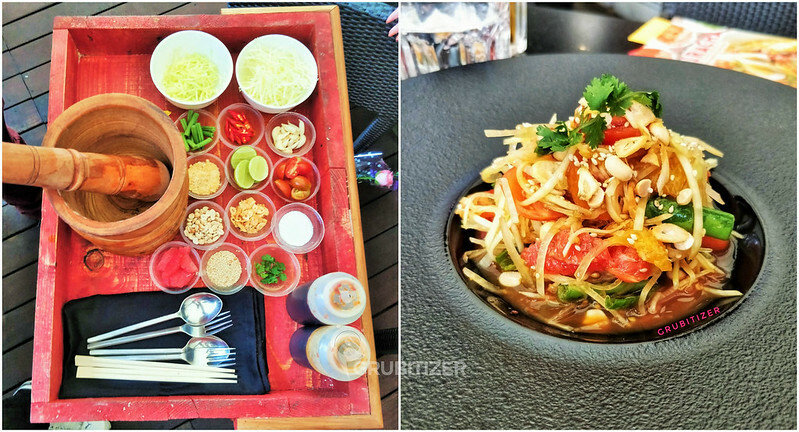 A laid-back afternoon it was and we were glad to catch up with Chef Vikas himself who started the proceedings with the signature Sriracha’s Som Tam which we all loved, it is a green papaya salad that’s prepared on your table. But this is not it, read on to know more about our entire journey across all the courses of our meal. 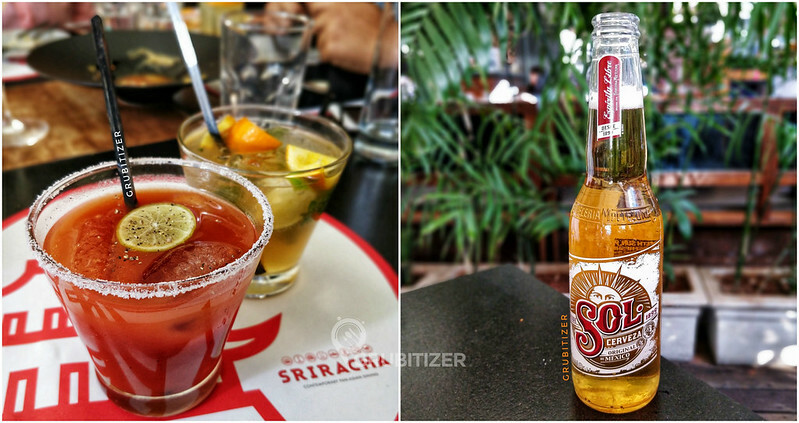 Sriracha houses a full bar and we started with a round of cocktails, I had the Wasabi Mary which is super spicy and would work wonders if had during the winters, I then stuck on to beer that went perfectly well with the kind of weather outside! The range of baos and dimsums are quite extensive and we did get to try a lot of them, the first one to arrive was the Scallop & Shrimp Dumplings that are topped with tobiko, soy chilli and coriander sauce. I liked the Chicken & Shitake Mushroom Dumplings, these come dipped in warm truffle soy broth. 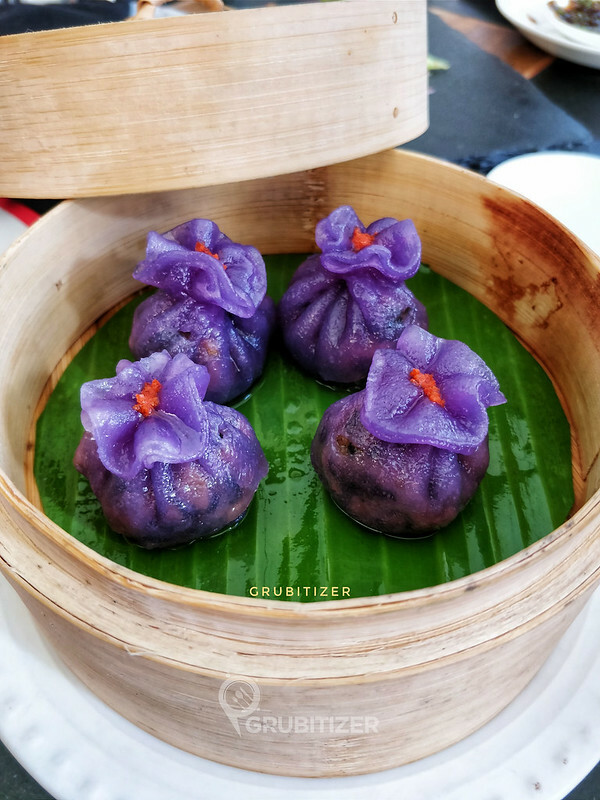 Among the veg dimsum options I loved the Wild Mushroom Purple Dumplings, these are a delight to look at when served on the table. The purple layer here is imparted by the natural skin of red cabbage juice, wheat and potato starch. Sriracha also has a range of sushi options and having tried some of the finest sushi in Bangalore my expectations were kind of high, and once these bite-size delicacies kept coming in I was just more than happy with the experience here. 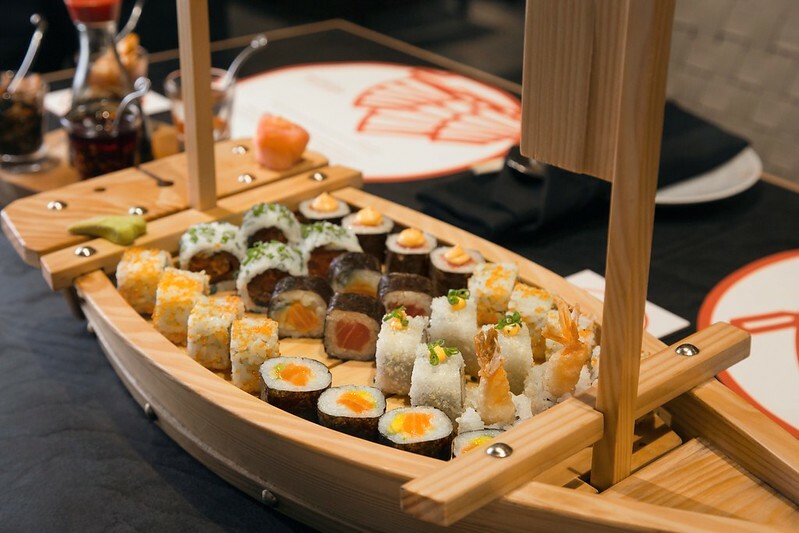 So there is something called a Sushi Boat that can be ordered here where you can get a variety of Sushi to try from, our boat had the California Uramaki, Salmon Roll, Crispy Philadelphia Uramaki and the Signature Prawn Tempura Uramaki, the presentation here scores full marks! 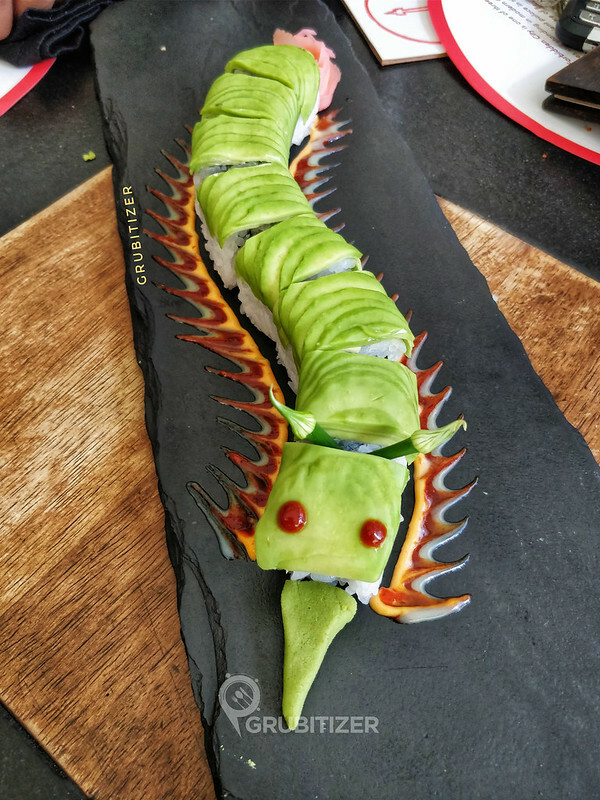 But this wasn’t it, next came in the Dragon Roll which actually looks like a dragon (the way it is platted! ), this avocado and cream cheese uramaki is a delight to eat and managed to make a great impression on all of us. The small bites were then replaced with full-fledged appetisers, we tried the Coffee Rubbed Pork Riblets, Togarashi Dusted Sriracha Prawns and Pandan Leaf Wrapped Spiced Cottage Cheese, all of which was received well and my personal favourite here was the Pandan leaf preparation as I have a subconscious liking towards anything that has essence of coconut or oyster sauce, in this case, it was the oyster sauce along with goodness of red chilli, basil, chilli coriander soya sauce that did the trick. 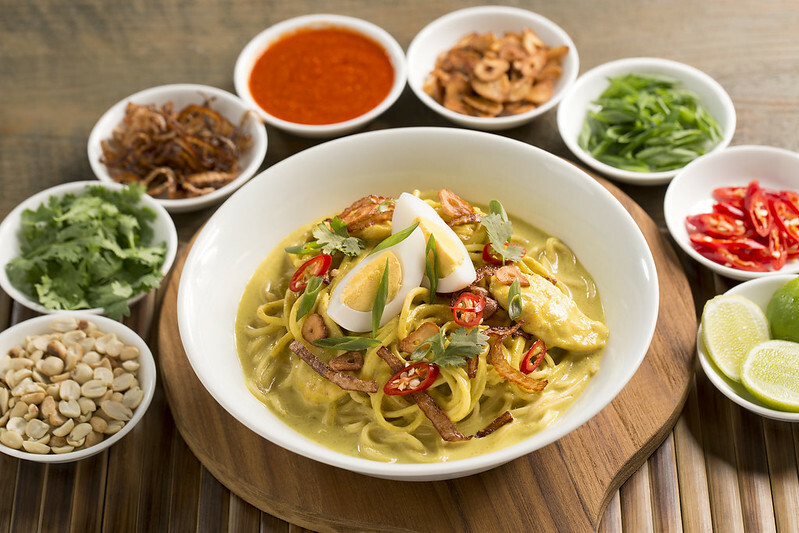 It was main-course time and we were quite full by now, the end result of this was that we ordered one portion of the famous Burmese preparation – the Khow Suey, a jewel that originated in the mountainous area of Shan State in Myanmar. This again has coconut milk and what more could I have asked for, totally fell in love with the way the broth is made. 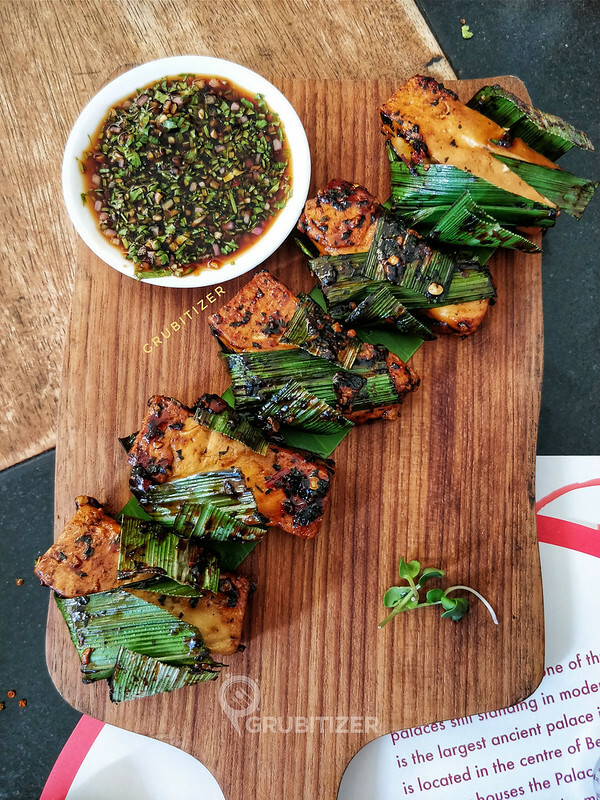 As the chef said, a classic Khow Suet doesn’t need a makeover and at Sriracha this dish comes with a small variation that helps you create your own little perfect food story of the day. We ended our meal with desserts, some of the finest looking delights that a lot of people on Instagram received it so well. 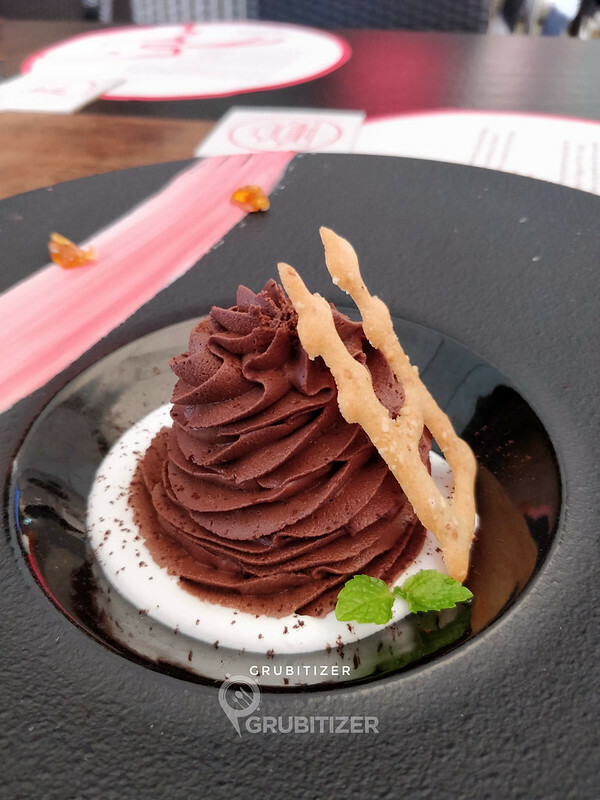 Sumatra Dark Chocolate Mousse comes with coconut cream and crushed peanut tuile. 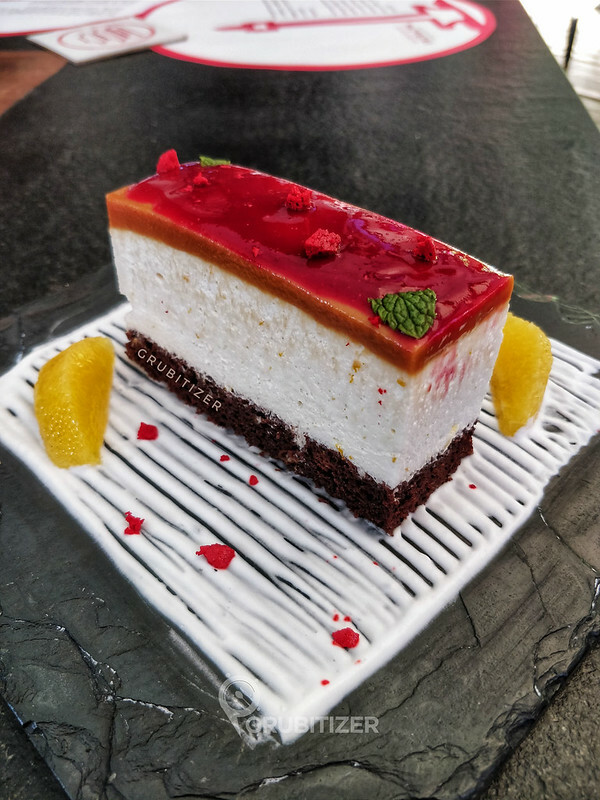 I liked the Berry Glazed Three Layer Pastry, the base made from rich dark chocolate sponge along with layers of caramel and orange mousse gives it a nice blend of flavours on every bite. 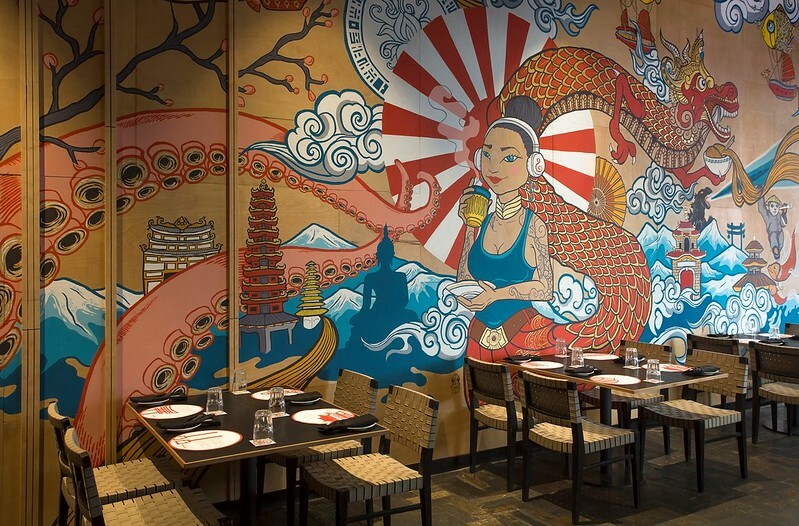 So that brings an end to one of the best Pan-Asian meals I have had in recent times. 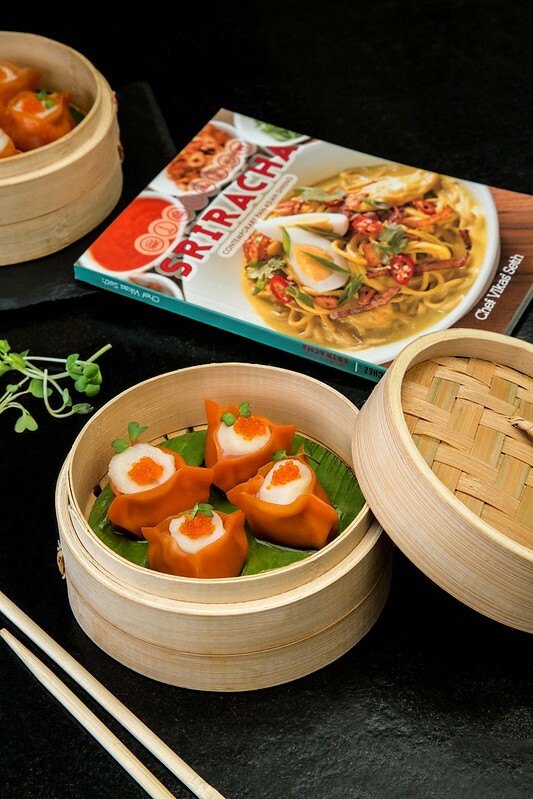 Sriracha follows the traditional recipes with their own slight variations to come up with dishes that look good on your table and at the same time are delightful to eat. Culinary wise the menu is well spread out and with loads of options under every section, the place is never going to bore you!